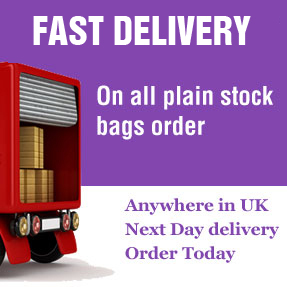 Huge range of Bags are available to order online for next day delivery to UK mainland. 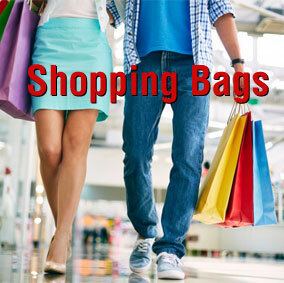 Here at Shopping Bags Direct, understand how important branding is for businesses. This is why we offer you a creative, effective way of conveying your key messages across to your customers. 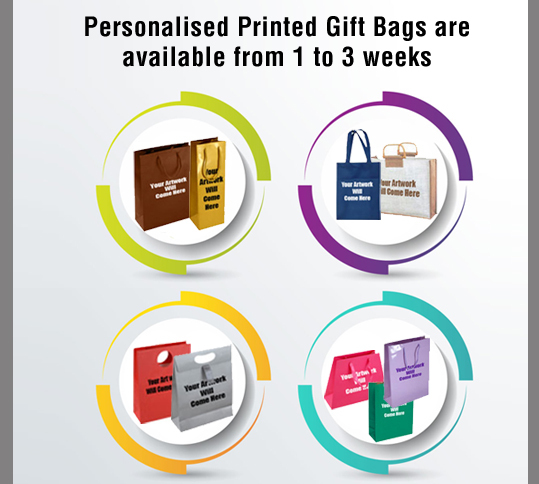 Decorate our small or large paper carrier bags with any logo or colour scheme for a perfectly personalised shopping experience. Not only will your company seem more professional, but you'll also be able to reach a much wider audience. As customers leave your premises, your shop will be advertised for free throughout local streets, encouraging potential customers to stop by. With more and more people becoming eco-conscious, you may want to steer clear of single-use bags. This is why we're different from other paper bags suppliers UK wide, as we offer reusable jute shoppers and canvas totes as an alternative environmentally friendly option. This also means your brand will stay close to your customers, whether they're using your bag to run errands or for their weekly food shop. 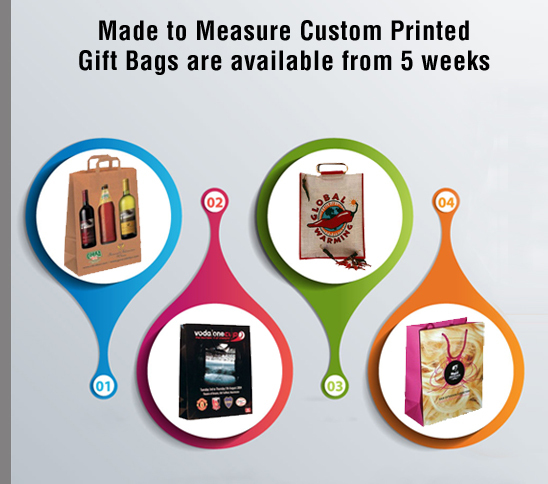 Make your reusable bags that extra bit special with special designs and images that we'll be more than happy to accommodate for you when ordering high quality paper bags. We offer natural cotton bags as well as dyed cotton for greater customisation, but can also embroider details for a more luxury look, creating a product that's more stylish than a regular shopper. 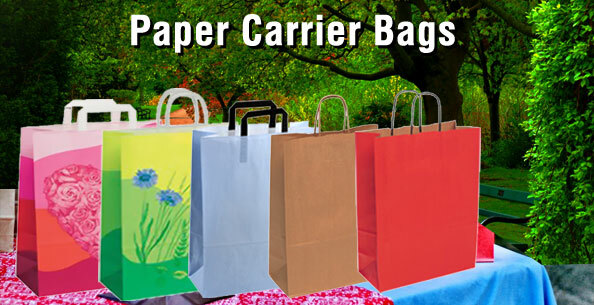 When it comes to highquality paper bags, we're experts you can trust. All our bags are well crafted, meaning you don't have to worry about them splitting halfway down the street. We make sure the colours you choose are true and vibrant, as well as consistent across both small and large paper carrier bags, using a sophisticated screen-printing process. No matter the contents of your bag, we have you covered. Our patisserie paper bags are made with a wide base to safely store food items, and our gift bags with twisted paper handles are ideal for light items like birthday cards and jewellery. We know that sometimes it's more practical to use a disposable bag, which is why all our paper bags are completely recyclable. You'll be able to reduce plastic waste easily without any guilt that your paper bags will end up in landfill. We are one of the paper bags suppliers UK businesses can rely upon to be ethically conscious, looking after the planet and its wellbeing. It's really easy to get in touch, submit your designs and requests, and receive highquality paper bags in no time at all. On average, you can expect your custom made to measure designs to arrive in 8-10 weeks, though we may be able to hurry the process along to take 4-6 weeks if you let us know of any time constraints you have. For plain small or large paper carrier bags that are currently in stock, you can expect your shipment in a matter of days. 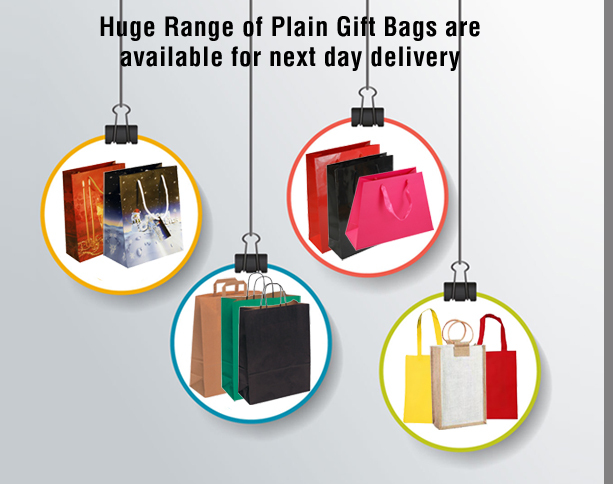 Many of our bags can even be with you the very next day at no extra cost. All you need to do is give us a ring or send us an e-mail to get the process started. 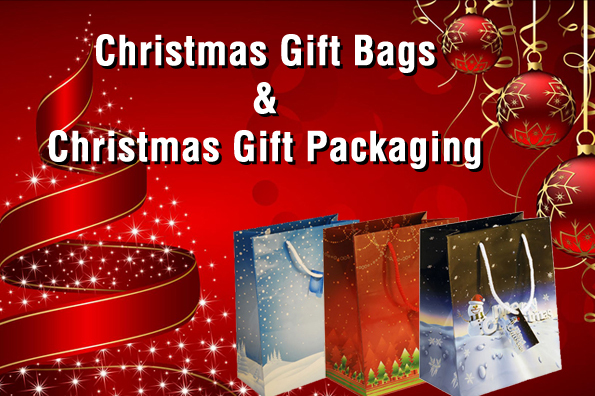 One of our friendly team will get back to you with a quote so we can get started with our paper bags suppliers uk.